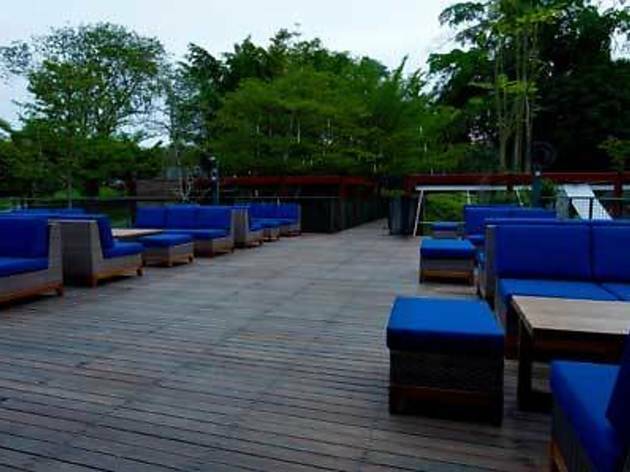 Inheriting the space vacated by Oosh in March, this resort-style swank-space is touted as a multi-function venue, with regular music and comedy including Kumar on Saturdays. 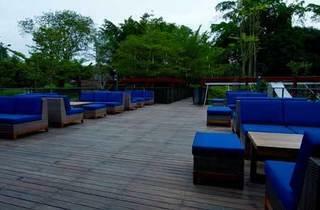 But its elegant, 120-capacity outdoor area is surely the main attraction. As you recline on the blue sofas, hypnotised by pastel-hued table lamps and illuminations shooting through the trees, peruse the smartly curated beverage list: 11 signature cocktails ($15), 11 signature martinis ($16) and 22 alco-floats ($18) closer to ice cream sundaes than bona fide drinks. The heady Izzzam mixes whisky, vermouth and sambuca but tempers the hit with pineapple; the Artist’s Special’s passionfruit and lime offsets a walloping Midori, apricot brandy and rum fusion. Creative bar snacks to share include a crunchy beer-battered smoked oyster and mozzarella sandwich ($11) served with spicy tomato sauce; bacon-wrapped dates ($8), also with melted mozzarella, are skewed on kebab sticks. Sakes $35-$68 (300ml); wines $14-$16; draught beers $14-$18 (500ml); shooters $14; spirits $12-$38; mocktails $12.